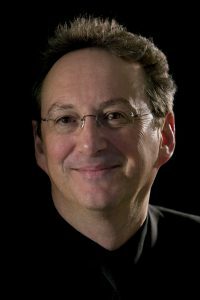 Peter Phillips has made an impressive if unusual reputation for himself in dedicating his life’s work to the research and performance of Renaissance polyphony. Having won a scholarship to Oxford in 1972, Peter Phillips studied Renaissance music with David Wulstan and Denis Arnold, and gained experience in conducting small vocal ensembles, already experimenting with the rarer parts of the repertoire. He founded The Tallis Scholars in 1973, with whom he has now appeared in almost 2000 concerts and made over 60 discs, encouraging interest in polyphony all over the world. Apart from The Tallis Scholars, Peter Phillips continues to work with other specialist ensembles. He has appeared with the BBC Singers, the Collegium Vocale of Ghent and the Netherlands Chamber Choir, and is currently working with the Choeur de Chambre de Namur, Intrada of Moscow, Musica Reservata of Barcelona and El Leon de Oro of Oviedo. He gives numerous master-classes and choral workshops every year around the world – amongst other places in Rimini (Italy), Evora (Portugal) and Barcelona (Spain). In 2014 he launched the London International A Cappella Choir Competition in St John’s Smith Square, attracting choirs from all over the world. Peter Phillips has made numerous television and radio broadcasts. Besides those featuring The Tallis Scholars (which include live broadcasts from the 1988, 2001, 2003, 2007, 2008, 2011, 2013 and 2014 BBC Proms), he has appeared several times on the BBC’s Music Weekly and on the BBC World Service, on Kaleidoscope (BBC Radio 4), on Today (BBC Radio 4), National Public Radio in the US and on German, French, Italian, Spanish and Canadian radio, where he has enjoyed deploying his love of languages. In 1990 ITV’s The South Bank Show featured Peter’s ‘personal odyssey’ with the Tallis Scholars; while in 2002 a special television documentary was made for the BBC about the life and times of William Byrd. Peter has recently been appointed a Reed Rubin Director of Music and Bodley Fellow at Merton College, Oxford, where the new choral foundation he helped to establish began singing services in October 2008. They gave their first live broadcast on BBC Radio Three’s Choral Evensong in October 2011. In 2005 Peter Phillips was made a Chevalier de l’Ordre des Arts et des Lettres by the French Minister of Culture, a decoration intended to honour individuals who have contributed to the understanding of French culture in the world.